We endeavour to tailor our service to the individual requirements of each couple. 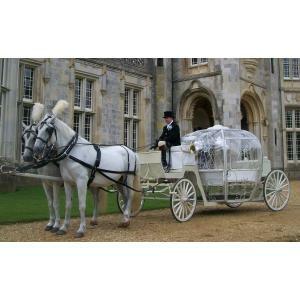 We provide transport for the bride from home to the church or venue for the ceremony and after the service take the couple to the reception. Should the service and the reception take place at the same venue we offer to take the newly weds for a ride after the service before returning for the reception. Please telephone or email to discuss your individual requirements and obtain a no obligation quote. 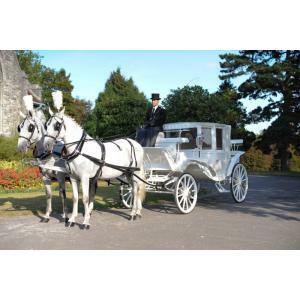 Brunswick Carriage Co Cover Southern England with a large selection of Horses & Carriages, we are sure to have something to suit your requirements, please feel free to contact us to view and to discuss your requirements with no obligation. 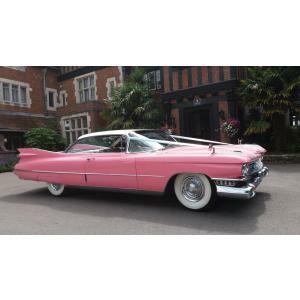 Here we have a truly stunning 1959 Pink Cadillac and she is ready for your special day. This is the most iconic Classic American car of all time with it's space age rocket tail lights, fabulously long rear wings and sumptuous champagne interior. This luxury classic never fails to impress and you are guaranteed to arrive in style. All prices include ribbons, bows & pictures before & after your wedding/civil partnership.We are based in Dorset and able to cover the wider surrounding areas. Please feel free to contact us for an all inclusive and very competitive quote. 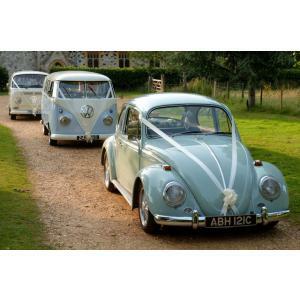 Dorset Dubhire offer their beautiful collection of classic VW wedding vehicles for chauffeur driven hire throughout Dorset and the surrounding areas. 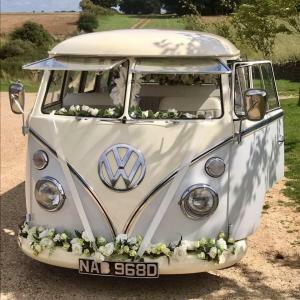 All vehicles have been lovingly converted into bespoke wedding cars with a choice of three classic campervans from 1960 through to 1974 each seating six passengers or a charming 1965 VW Beetle seating smaller parties of three. 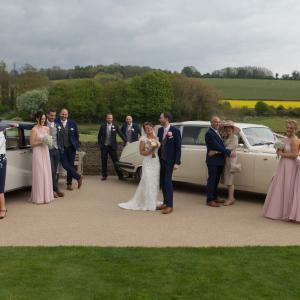 As winners of multiple local and regional wedding awards you can be sure that you will receive only the very best levels of service both before and on your wedding day. Vehicles are dressed to fit in with your colour scheme with a huge choice of ribbons, flower garlands and bunting available to choose from. 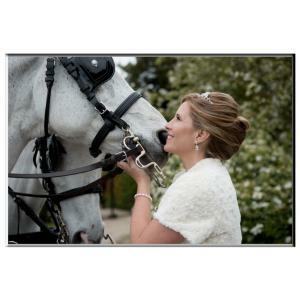 Dorset Dubhire look forward to chatting over your wedding plans with you! RR Elite have an unrivaled collection of Rolls Royce cars and a staggering collection of other wedding cars including an Aston Martin DB9, a Mustang, one of the original Kitt's from the show Knightrider a stretch VW Beetle and Diana Doors 1959 Pink Cadillac and a host of others. Multi-Award winners with a 1935 vintage Rolls-Royce, an ivory 7 seat Daimier DS420 and an ivory 7 seat convertible Daimier Landaulette - the only one in the UK with built in confetti cannons! Let us provide that special car - for your special day! 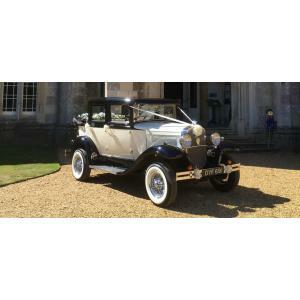 Wedding cars are available from RK Prestige Car Hire, a small, family run business based in St Leonards, Ringwood. The areas we serve include the following: Bournemouth, Christchurch, Poole, the New Forest, the Purbecks, Salisbury, Wimborne and Blandford. 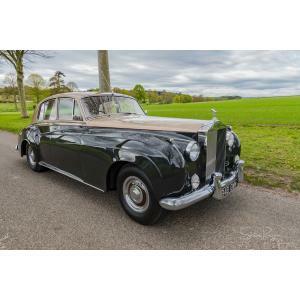 Cars available include: A white Jaguar XJ6 sovereign, 1964 Rolls Royce Cloud 111, 1927 Citroen B2, American Checker cab, 1957 Austin Taxi, 2 1930s Open Vintage Taxis, Traction Avant and a Ford Zephyr. 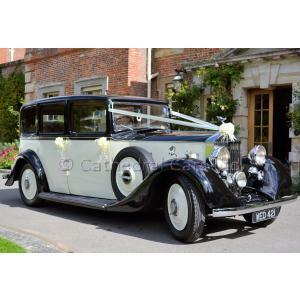 A reliable specialist wedding car service for the discerning. 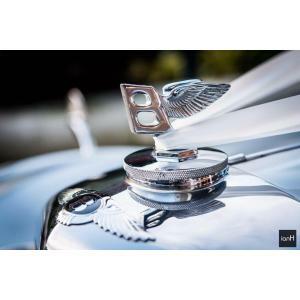 Over twenty seven years experience and many wonderful cars including Bentley, Daimler, Jaguar, Sunbeam and many others covering Surrey, Hampshire, Berkshire and West Sussex. hireaclassiccar.com was born simply from a passion of anything and everything automotive and we felt our vehicles, whilst part of a private collection, should be enjoyed and appreciated by a wider audience. We offer a selection of chauffeur driver iconic, memorable and prestigious motor vehicles within Dorset and it's neighbouring counties. A unique entrance to your event with the added bonus of a built in photo booth. Whether you need both the transport and photo booth or just one of the options we can help you. 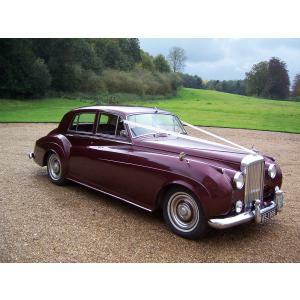 Bristol Wedding Cars offer solutions for all your wedding car hire needs. From the extravagant Bentley Arnage T wedding car to our range of Mercedes saloons from the elegant E-class to the most prestigious S-class Mercedes. 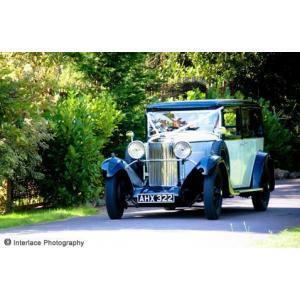 Ken's Kars is a family run, vintage wedding car company, operating in Bristol, Bath and surrounding areas. 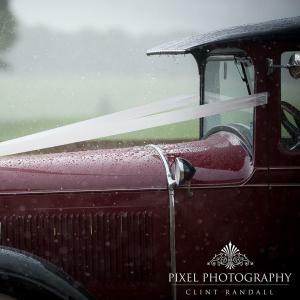 We pride ourselves on being the longest established vintage wedding car company in the Bristol and Bath area, starting out in 1983, here in Chipping Sodbury.